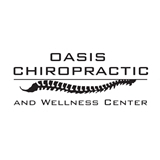 Oasis Chiropractic and Wellness Center (New York) - Book Appointment Online! Very kind and realistic about what to expect. Got me on my way to work. I can tell this clinic values customer service. We learned from the x rays that my mother has a somewhat curved upper and lower spine. Her lower back pain was caused by compressed discs in her lower spine. The treatment consisted of a ten minute massage on an automated massage bed to soften her spine, another ten minute session with electric pads that massaged her lower back, and finally an adjustment session to begin the process of moving the vertebrae back into place. My mother has since visited a second time and each time she feels much better.